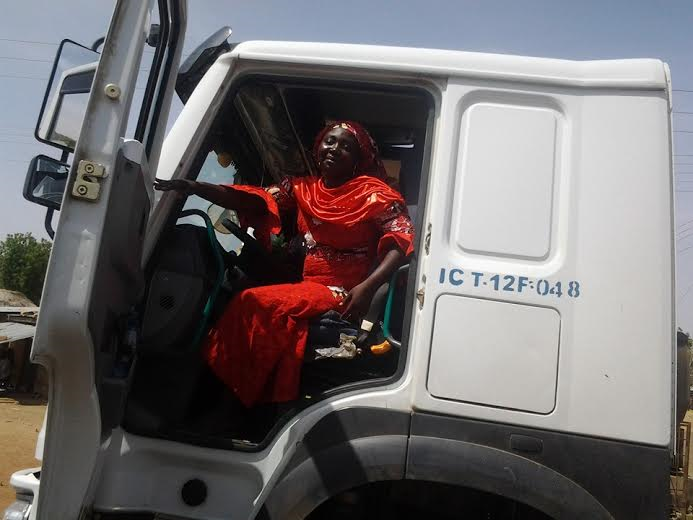 Pictured is a powerful woman who gladly drives a Dongote truck in the northern part of Nigeria. The woman simply identified as Ms. Halima -was pictured by a surprised Nigerian while discharging her duty. According to Aminiya who shared this, Ms Halima has an assistant driver (pictured below) who helps her whenever she feels tired or sleepy…. You Dreamed To Earn A Lot While Doing Nothing? You Can Save Energy With This Device! They Don’t Want You To Play This Game! Think You Can Handle The Sexiest MMO Ever?